What would Dr. King say about our schools? Those are the words of Dr. Martin Luther King, Jr. As we celebrate the great civil rights leader this month, I plan to spend some time reflecting on that question. It couldn’t come at a better or more prescient time. Last week, we witnessed one of America’s most cherished traditions—the peaceful transition of presidential power. Our nation just endured a long, heated, and divisive election, one that exposed still-festering racial disharmony in nearly every corner of the country. Our schools are no exception. As we continue to beat back the inequities that perpetually divide our communities, I find myself asking another question: What would Dr. King do? 1. Are we providing students all they need to lead full and productive lives? We, as citizens and as educators, must ensure that every child receives the attention and dedication they deserve. An educator’s charge is not simply to pass on knowledge, it’s also to instill the skills and values that turn children and young people into responsible, contributing citizens. That means making sure every child has access to a quality education in an engaging and equitable environment, and that they are individually equipped with the skills needed to become productive members of society. It means ensuring every child has a chance to realize their dreams. 2. Are we helping students dream big? Back when I was a school district superintendent, I’d often ask students what they wanted to be when they graduated. It was refreshing when a student would tell me he wanted to be a football player and the President of the United States or a plumber and a famous writer. Students dream without limits. Much as Dr. King himself dreamed. A strong education goes a long way toward making those dreams a reality. 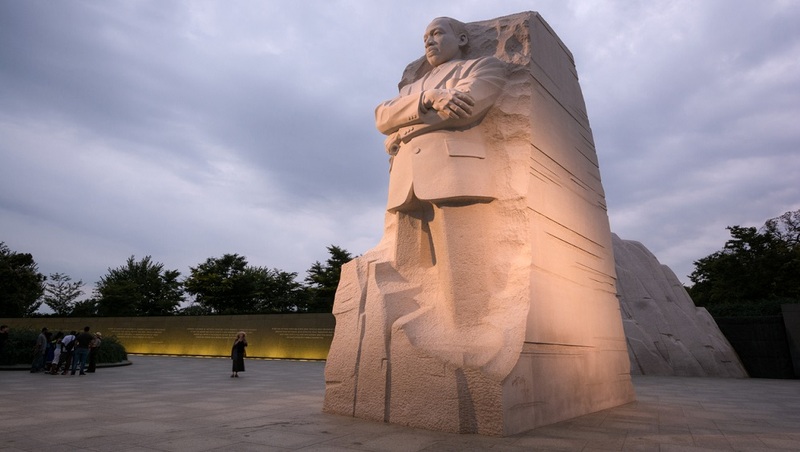 Dr. King’s dream of racial equality was once seen as unattainable. Then came the federal Voting Rights Act, the Elementary and Secondary Education Act, and the Fair Housing Act. 3. How can we tackle the challenges of the future? Our schools, and our country, face heady challenges in the days and years ahead: increased competition, political fallouts over immigration and inclusion, continued resource gaps, bullying, violence. The list goes on. School leaders needn’t run from such issues. Rather they should do the opposite—confront them head on. That work starts up front, by have meaningful conversations with students and parents and staff. I recently had the chance to chat with my fifth-grade teacher. During his 80-plus years on this planet, he’s seen it all, good and bad. So, I asked him how he felt about the future. He told me he’s as optimistic as ever about the future of our schools and the students who attend them. He said that though he hasn’t taught for several years, he’s got full faith in the ability of our school leaders, our teachers, and our students to continue to move the country forward. If he can remain optimistic after all this time, and after all he has experienced, well, so can I. And so, too, should you. Our public schools are the centerpiece of our democracy. Where else can students go to freely search, discover, and learn the vital skills needed to prepare them for success in this great and wondrous world? Dr. King understood the important relationship between education and progress. In spite of mounting uncertainty, I think he would be energized about the challenges ahead. How are you reflecting on the legacy of Dr. King this month? How do you feel about the current state of our schools? I’d love to hear your thoughts on the topic. Tell us in the comments, or send me an email: gdawkins@k12insight.com. Be the first to comment on "What would Dr. King say about our schools?"